What’s the first thing that comes to mind when you think of Siri? A dictation assistant? A way to get help with directions? Someone to talk to and ask all sorts of ridiculous questions? Well, turns out, she is all that and so much more. When Apple introduced the “Hey Siri” feature in iOS 9 it increased the popularity of the service and made it a more personable interaction–as if you were having a conversation with a friend. I have to admit, I’m a little old fashioned. I never have really taken full advantage of Hey Siri. Instead, most of the time I choose to physically interact with my phone rather than use voice commands to initiate actions. Perhaps it’s because I never took the time to discover all that Siri can do. When you launch Siri on your iOS device, but don’t initiate any dialogue right away, Apple pages through a series of lists that contain popular use cases. That’s good and well, but how useful is that for the average user–and will you really remember them in the future presented this way? Probably not. However, if you click in the question mark in the lower left corner, another screen launches with a much more comprehensive list of commands. While this is a great resource that is already available on your iPad or iPhone, Siri can still do so much more. 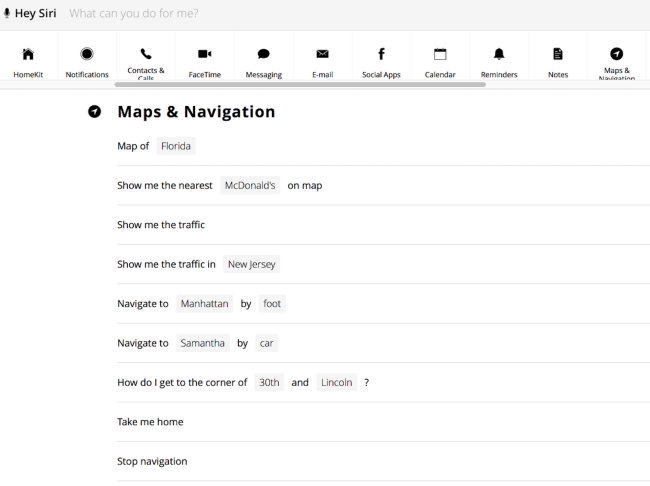 A website called Hey-Siri.io was recently launched, and it’s a treasure chest containing hundreds of commands. There are 34 different categories contained in an interactive slider that runs across the top of the screen. 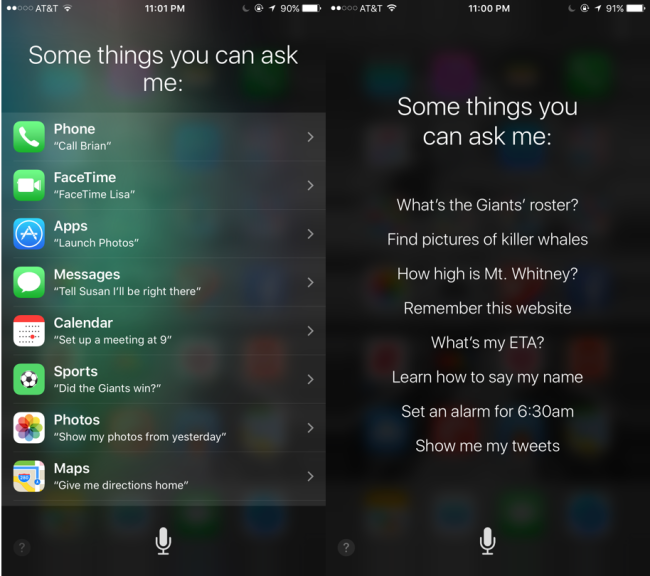 Within each category there are a number of examples of how you can use Siri to perform a number of tasks. This is the most comprehensive list I have ever come across, and I’m sure you will find it helpful, too. With Siri coming to macOS Sierra later this fall, there will be even more instances where you can use simple voice commands to make your workflow that much easier. Hey-Siri.io also has an option in the settings where you can see the available commands for Sierra if you’re currently running the beta. In addition, you can also view the categories in German. Give it a try, and let us know some of your favorite use cases in the comments section below.